On December 13, 2016, President Obama signed into law the 21st Century Cures Act. 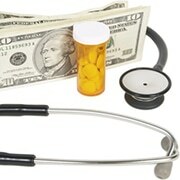 In addition to funding medical research, accelerating cutting-edge treatments for rare diseases and adding significant reforms to the mental health system, the new legislation allows small employers to provide standalone Health Reimbursement Arrangements (HRAs) to employees without paying penalties imposed by the Affordable Care Act (ACA). A standalone HRA is one that isn’t paired with a health insurance plan. So under the Cures Act, qualified small employers can use standalone HRAs to reimburse employees for purchasing individual insurance coverage, rather than providing them with costly group health plans. Offering a stand-alone HRA can be an attractive option to smaller employers that would struggle to pay for traditional group health plans or to administer their own self-insurance plans, yet want to offer some sort of health benefit to help attract and retain employees. The changes are effective as of January 1, 2017. An HRA is a special type of tax-advantaged account used for health care expenses. Essentially, an employer sets aside money in HRAs for its employees to spend on health care expenses during the year, within certain limits. The money isn’t included in the employee’s taxable income, and withdrawals used to pay qualified expenses are tax-free. With an HRA, the employer makes contributions to the account prior to the start of the year or in monthly installments throughout the year. Then, the money is available to the employee as needed. The HRA can be used to pay qualified medical expenses, as well as co-insurance, co-payments and deductibles. For this reason, an HRA is often paired with a high-deductible health insurance plan. If the balance in an employee’s HRA is used up before year end, he or she must pay any additional expenses out-of-pocket. On the flip side, the employer may allow the employee to roll over any unused funds to the next year. A group health plan (or a health insurance issuer offering group health insurance coverage) can’t establish any annual limit on the dollar amount of benefits for any individual. Nongrandfathered group health plans (or health insurance issuers offering group health insurance plans) must provide certain preventive services without imposing any cost-sharing requirements for these services. The ACA imposes an excise tax on any group health plan that fails to meet these two requirements. The tax is $100 per day for each affected employee. According to previous IRS guidance, standalone HRAs were considered group health plans, and they didn’t comply with these rules, even if the HRAs were used to purchase health insurance coverage that did comply. Therefore, prior to the Cures Act, small employers that maintained standalone HRAs after June 30, 2015, were liable for the excise tax. 1. The plan is maintained by an eligible employer. An eligible employer is one that employs fewer than 50 employees and doesn’t offer a group health plan to any of its employees. 2. The plan is provided on the same terms to all eligible employees. However, the employer may exclude employees who haven’t completed 90 days of service, employees under age 25, part-time or seasonal employees, employees covered in a collective bargaining unit and certain nonresident aliens. 3. The plan is funded solely by an eligible employer, and no salary reduction contributions are made under the arrangement. 4. After an employee provides proof of coverage, the plan pays or reimburses qualified health care expenses. 5. The amount of payments and reimbursements doesn’t exceed $4,950 for an HRA providing individual coverage (or $10,000 for an HRA providing family coverage). These figures will be indexed for inflation after 2016. For employees covered by a qualified arrangement for less than an entire year, these dollar amounts are prorated. The number of family members of the eligible employee covered by the HRA. The term “permitted benefit” refers to the maximum dollar amount of payments and reimbursements that may be made for the eligible employee. The new law also amends the ACA to prevent employees (and their spouses and dependents) from claiming a premium tax credit for buying health insurance in a Health Insurance Exchange for months in which they receive affordable coverage under a standalone HRA. Additionally, it extends retroactive transitional relief, which had been provided to small employers with fewer than 50 employees. Thus, it protects small employers that set up HRAs prior to January 1, 2017, from penalties under the ACA. A statement that, if the employee doesn’t receive minimum essential coverage for any month, 1) he or she may be subject to tax under the individual health insurance mandate for those months, and 2) reimbursements may be taxable. If an employer fails to provide the required notifications, the employer could be assessed a $50 penalty for each employee and for each incident. The annual maximum penalty for an employer is $2,500, unless the failure is due to reasonable cause and not willful neglect. The notice requirements are effective for years beginning after 2016. Similarly, effective for tax years beginning after 2016, the new law requires the value of any HRA benefits to be reported on W-2s provided to employees. Finally, the new law coordinates with various other ACA provisions, including the “Cadillac tax” on certain high-cost health insurance plans. The Cadillac tax, which was initially scheduled to take effect in 2018, was recently postponed to 2020. The new law opens up an avenue for small employers to provide health benefits to employees at an affordable cost. Contact your financial and tax advisors for more information about HRAs and other health care related matters. The federal government is expected to issue additional guidance relating to the new HRAs in the near future. And President-elect Trump has stated he wants to implement significant health care reforms in his first 100 days in office. These could affect small employers in 2017 and beyond.